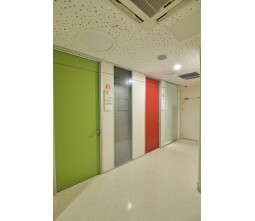 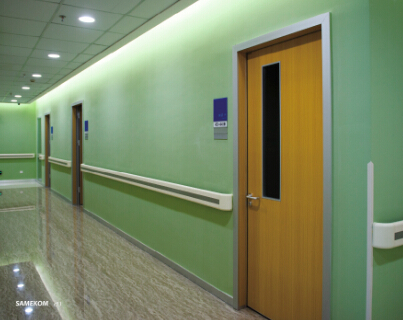 Unlike old school ward room door ,SAMEKOM innovative aluminum frame door can give our ward a more contemporary and easy access for all patients and healthcare workers. 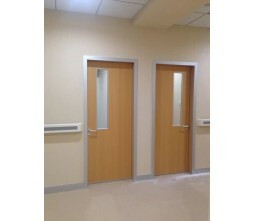 With its special frame ,the ward doors is easaier to install ,and more repliable to use for heavy use area.Frame color will be available in 3 color ,anodized silver,PVDF grey,PVDF white. 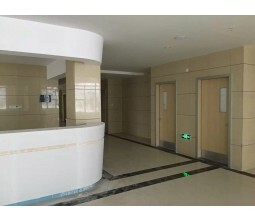 HPL/Melamine facing for ward door panel ,infiling will be aluminum honey comb and aluminum tube ,that will make the doors much more stronger.40mm door panel thickness is compactable with both HPL or Melamine . 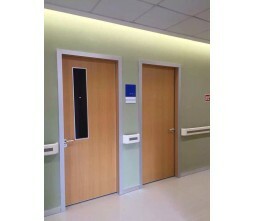 45mm door panel can ben only HPL facing .